Izzie from the executive office shows us her favorite products at the Bryant Park Shop (kiosk A6) at Bank of America Winter Village Holiday Shops. The Bryant Park Shop is back this year bigger and better than ever. With an expanded kiosk and variety of products, the Shop has something for every friend and family member on your shopping list this year. 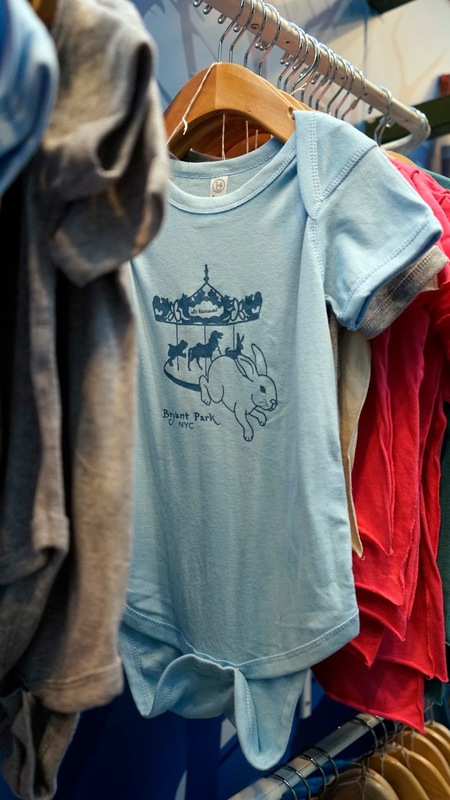 There are over 40 products available in this year’s kiosk, including some old favorites like the Bryant Park NYC T-Shirt and Bryant Park Umbrella, but with some new and exciting additions! Below are a few of the many new items filling up the Shop this season. Many of these items are exclusive to the in-park store (meaning you can't buy online) so be sure to stop by the Park Shop & Info kiosk in person! 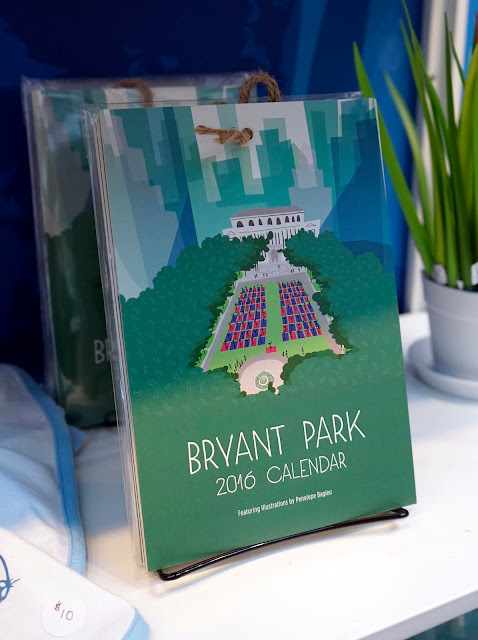 The favorite new item around the Bryant Park office is the 2016 Calendar. Illustrated by Penelope Bagieu, each month features a different Bryant Park scene. From knitting in February to birding in September, the calendar’s pages are each a work of art. After seeing the success of children’s book Christmas Feet: A Gift for Carlos last season, we decided our younger readers needed a t-shirt to wear while reading it! This soft tee is a great gift to go along with the book, or better yet – our new Bryant Park Special Edition set (which includes all three books detailing Carlos’s adventures around NYC). Le Carrousel is one of the most beloved spots in the park by children and adults alike. Our new Le Carrousel onesies, available in both pink and blue, are a great gift for the youngest on your holiday shopping list. Le Carrousel Bibs come in pink and blue as well! 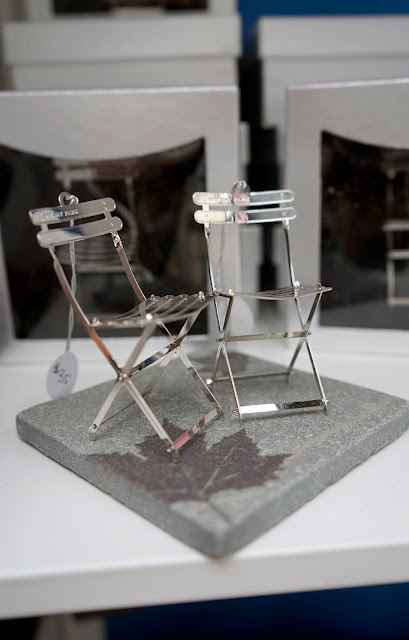 In addition to our Bryant Park NYC ornament collection and handpainted ornaments, we’ve added the iconic bistro chair to the Bryant Park ornament lineup. This delicate ornament will be a great addition to your tree this season, and even has “Bryant Park” engraved on it, just like the chairs in the park! This new winter-themed puzzle joins its warm-weather counterpart – our Square Dance puzzle. Featuring a picture of the Rink, with the Christmas Tree, Celsius, and the NYPL in the back, this 1,000-piece puzzle is a great gift for all ages. 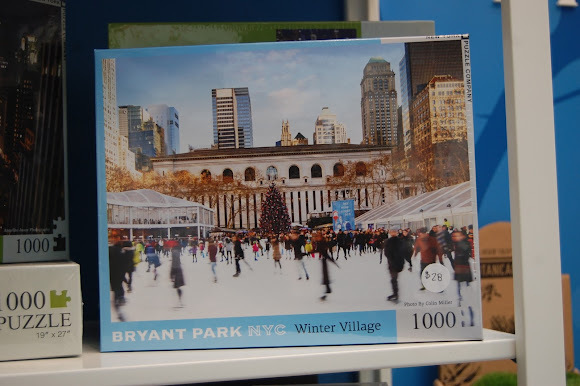 The Bryant Park Shop is located at the Park Shop & Info kiosk on the 40th Street Allee, right next to the entrance to the Skating Pavilion.